February 1945. The RAF bombed the railway bridge over the river in Weesp. Four air raids within a few days. Without damage to the bridge. "Many bombs did not explode", eyewitnesses said. "They must be in the river." So, when in the early 80-ies, a new bridge was built, a search was carried out. And there sure were bombs. I remember police came, and we had to evacuate our house immediately. After that, the river was officially clean now. "Forget it. There are still more bombs there, I've seen them falling, and counted", our old neighbour kept on saying. A couple of years ago, it was decided that the river would be thoroughly dredged. For the first time in history. 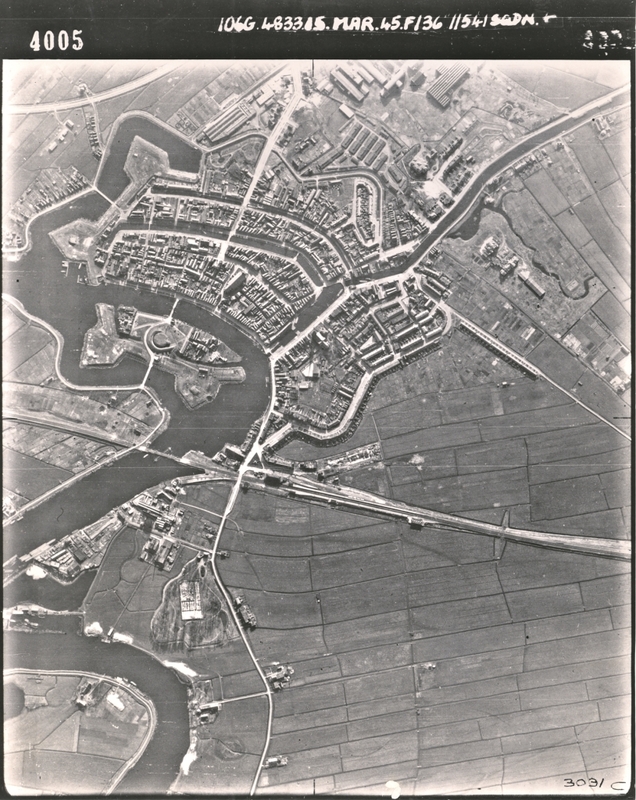 Since the river Vecht had been a major north - south route for more than a thousand years, see History river Vecht, that could prove to be interesting. And indeed, it was. As for bombs. Well, just to be on the safe side, there would be another search. That took place in winter, early 2011, mainly with radar boats and some probing. Conclusion : looks clean, go ahead with the dredging. Works started. November 2011 : an unpleasant surprise. Two unexploded big bombs, 1000 pounders, were discovered in the dredging dirt. AFTER it had been ferried away by barges, so nobody had noticed the bombs while dredging. The bombs were detonated in a safe place, and made nice big holes. And searching had to be resumed. The next search was going to be really thorough. With divers looking closely at anything substantial that was down there. For half a year the diver's platform slowly moved around over the river. It all became a normal part of the city scene. The divers discovered nothing worth worrying, as it was phrased. Possible weaponry having sunk so deep in the mud that there was no danger. And impossibly costly to remove. When it appeared that all was over and done, another typical Dutch discussion started : "Now, who's going to pay for what exactly ?" Return to regional history on this website.